You probably fall into one of two categories: male or female. It occurred to me the other day that I’ve been experiencing hot flashes – one of the stars of perimenopause and beyond – for over four years now. And sadly, I know that the end is not in sight. 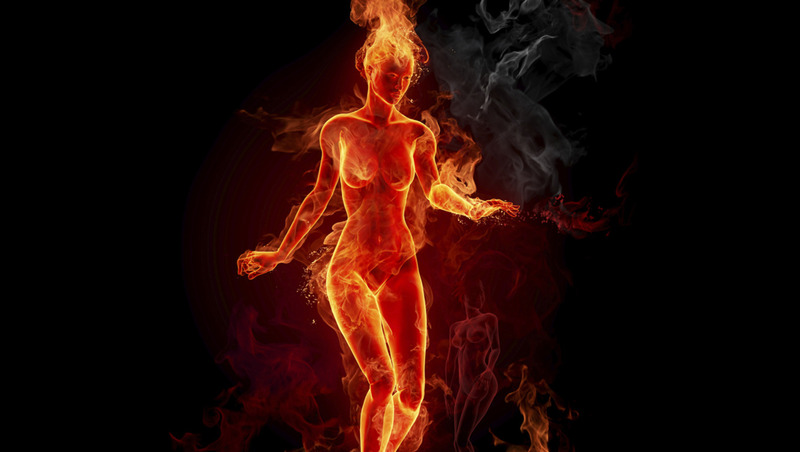 Do you know what a hot flash is like? It’s like being flamed with a sparkly blowtorch all over your body. It comes from the inside out, and it comes on suddenly and unexpectedly. It’s very Chuck Norris-like. There’s nothing you can do to fight it off, to defend yourself. If it’s there, it’s already won. It lasts as long as it’s going to last. And then it’s gone. And then there’s the bleeding – or not. It’s either a tsunami or a leaky faucet. And like the hot flash, you never know when it’s going to strike. But unlike the hot flash, there are repercussions from this unpredictability. When you’re used to a regular cycle of 28 days or so, you know when you need to be prepared, And so, you travel prepared. With perimenopause, it’s always a surprise. Bleeding episodes can be six months apart. Or 39 days apart. They can last for three days or for three weeks. But the biggest disability is that damn flow. You can stand up from your desk, and suddenly discover that you need a new pair of jeans. My bottom file drawer at work always contains an extra pair. Lesson learned. That whole unpredictability thing is the hallmark of perimenopause. You just never know when to expect what. And it’s as if your body is completely confused. It doesn’t know what to do. So it just…. does everything. It has mood swings. It gets bloated. It cries uncontrollably about nothing for days at a time. It has nightmares. It has PMS – but without the M. It’s like getting your period, but not getting your period at the same time. It’s a giant fake-out. Poor body. But there are some good things about perimenopause that, in the spirit of gratitude, I feel compelled to share. There are some things that ease the symptoms. Black cohosh (an herb). Estroblend, an over-the-counter herbal pill. Evening primrose oil. Soy products (or so I’m told – I haven’t tried them yet, because I’m not really a fan). And of course, ice cold San Pellegrino, hand-held japanese fans, and frozen bodice coolers that you can pick up at any Renaissance Festival. It definitely keeps me warmer in the winter. This is strange for me, because I’ve always been a cold-bodied person. Now, I can comfortably keep the house at 60 degrees no matter what the outside temperature. (Unfortunately, my niece and MKL cannot live like that.) And sometimes I drive with the truck windows down in the depths of January. I’m saving money on winter clothing. I mean, really, what’s the point of wearing sweaters to work if I just want to strip down to my skivvies every other minute? As it is, I’m in sleeveless tops and have the little desk fan going for half the day, with an icy beverage close at hand. It helps me accept change and unpredictability. Let’s face it, it’s not called “the change” for nothing. This experience has helped to reinforce for me that life within this body is anything but predictable, and that just because things are one way one day does not mean they will be the same the next day. You just never know. So you might just as well enjoy the ride. It is a hallmark of the wisdom gained from life. In some cultures, women who have experienced menopause are allowed into traditionally male bastions from which they were previously banned, as a sign of respect. If one has lived long enough to move into a new cycle of life, then wisdom must be one’s companion on the journey. I like to think of it that. Between hot flashes. So, if you’ve read this far, congratulations. If you have yet to experience this transition, and have questions, ask away. If you are in the throes and have positive feedback, comments, perceptions, or suggestions, please share. And if you’re past it and have stories to tell, I’d love to hear them. It seems like a flaw in the Grand Design, doesn’t it? Why, oh why, must we be punished for no longer being of childbearing age? Why must we launch into vileness so wretched that we make men wonder why they went and bore children with us to begin with? When was the last time you saw a guy spontaneously combust? Never. You’ve never seen a guy spontaneously combust. I haven’t gotten there yet, but sometimes I wonder if that Bangles song, “Eternal Flame,” was about this. It’s true. I’m trying to find all the positives I can though. The blessings. You know. All that crap. I can think of a few men I’d like to see spontaneously combust though. past most of it except the stupid hot flashes every morning at 3 a.m.
Well, that’s kind a mixed blessing, isn’t it, onthehomefrontandbeyond? The start of this transition has been sooooo hard, and I know it can last for years which is discouraging. After spending a month feeling like my tongue was being burned by a cigarette, I finally got a diagnosis from my primary. Anxiety. I am not anxious. I have no history of this and had no idea I was anxious. She told me this is another symptom of perimenopause. Great, another symptom. It had been several days since I had a new symptom. Now on Ativan as needed, and feeling like a failure for having to take drugs to cope with this.